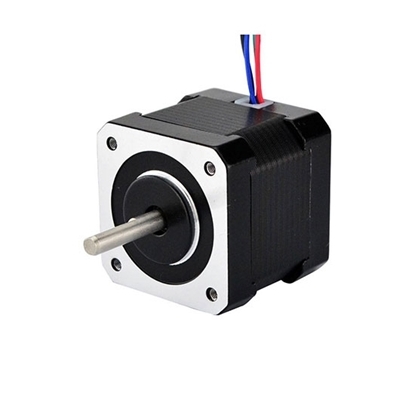 4-wire 2 phase bipolar Nema 17 stepper motor, 3.6V 1.68A, resolution of 1.8 degree/step, torque of 85 oz/inch. Tips: What is holding torque and detent torque? Holding torque indicates the torque locking the rotor when the stepper motor is powered on but not rotating. It is one of most parameters for the stepper motor. The torque of the stepper motor at low velocity usually approaches the holding torque. As the output torque of stepper motor is gradually attenuated along with the increase in velocity while output power is also increased along with the increase in velocity. For examples, the rotor locks the rotor under the circumstance that the stepper motor is not powered on. 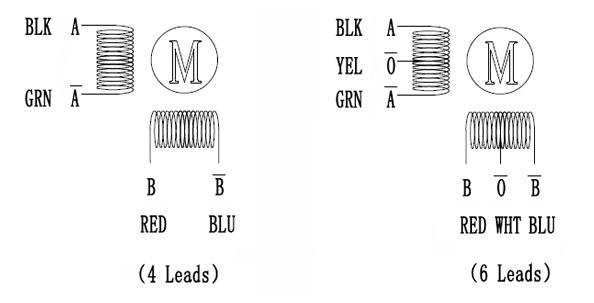 Detent torque indicates the torque locking the rotor under the circumstance that the stepper motor is not powered on.